Verve Research Solutions offers development of powerful, one-of-a-kind software intended to meet customers’ unique demands. Our skilled specialists know the game of business and deliver successful solutions that accord with all the specified requirements while invariably staying within time and budget limits. 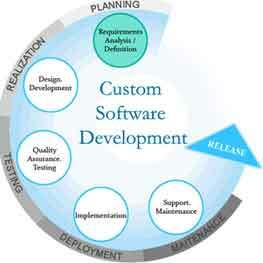 Along with full-cycle custom software development, we provide software maintenance and platform-based customization.